PALO ALTO, Calif., FRAMINGHAM, Mass., April 12, 2012 – HP (NYSE: HPQ), the world’s largest technology company, together with Staples, Inc. (Nasdaq: SPLS), the world’s largest office products company and second largest e-commerce company, today announced free electronics recycling for all brands of office electronics at Staples stores nationwide. Consumers and small businesses can responsibly recycle their electronics every day at Staples locations nationwide,(1)regardless of where the devices were purchased. Customers can drop off their technology for recycling at the service desk of their local Staples store. Staples will take advantage of its world-class logistics networks to collect the devices and consolidate them at its distribution centers. A certified e-Stewards® and R2 recycler will then arrange to have the materials transported to one of its processing centers. Additional information is available at HP’s and Staples’ websites at www.hp.com/us/go/recycling orhttp://www.staples.com/recycle. HP creates new possibilities for technology to have a meaningful impact on people, businesses, governments and society. The world’s largest technology company, HP brings together a portfolio that spans printing, personal computing, software,services and IT infrastructure to solve customer problems. 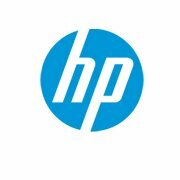 More information about HP (NYSE: HPQ) is available athttp://www.hp.com. (1) All Staples locations in the continental U.S., except for Staples Copy and Print Shops, participate in this program. (2) Staples does not accept televisions, appliances, alkaline batteries, floor model copiers/printers, large servers, audio/visual equipment or certain other household electronics (kitchen electrics, etc.). There is a limit of six items per customer per day in most states. Partnerships between these kind of big companies facilitate many people to come forward & recycle their e-waste.